This 4 oz. 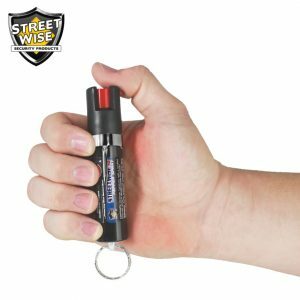 Streetwise 23 pepper spray can disable multiple attackers and small enough to conceal in a pocket or purse. Many brands are exaggerating their claims for marketing purposes. It is difficult to find which brands are telling the truth. 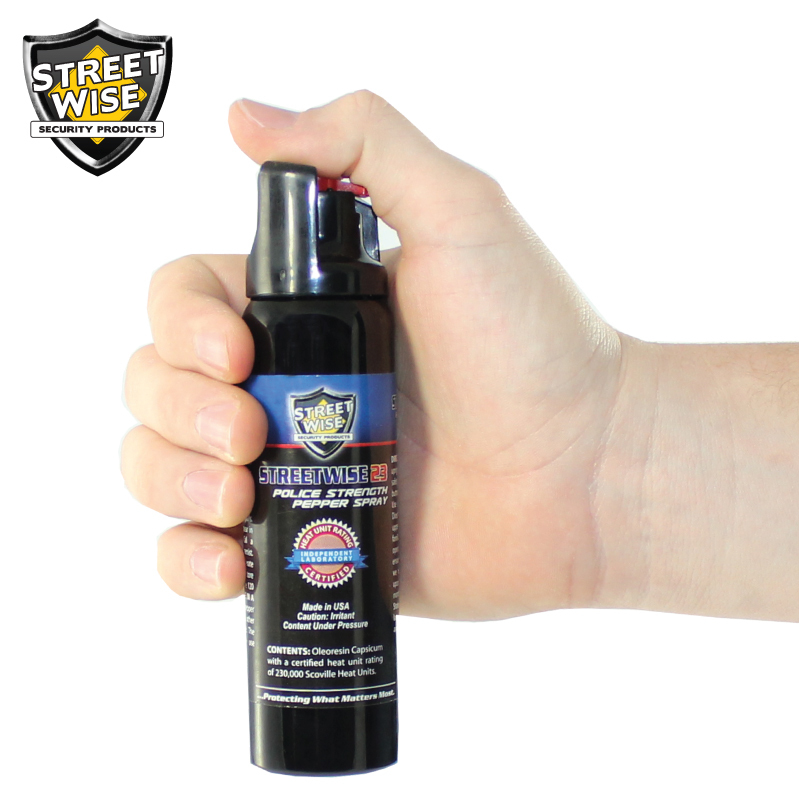 Fortunately, you can trust Streetwise 23 Pepper Spray as it has a CHR of over 230,000 SHU certified by an independent laboratory. 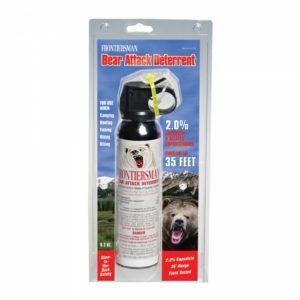 For comparison, the independent laboratory also tested the heat of competing pepper sprays once they are sprayed out of the can. 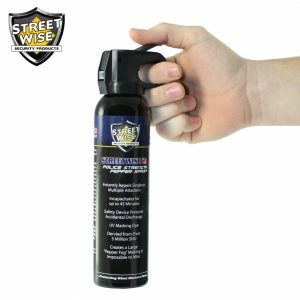 They found out the average heat rating to be 123,000 SHU of these leading competitors, making Streetwise 23 over 87% hotter than the competition. 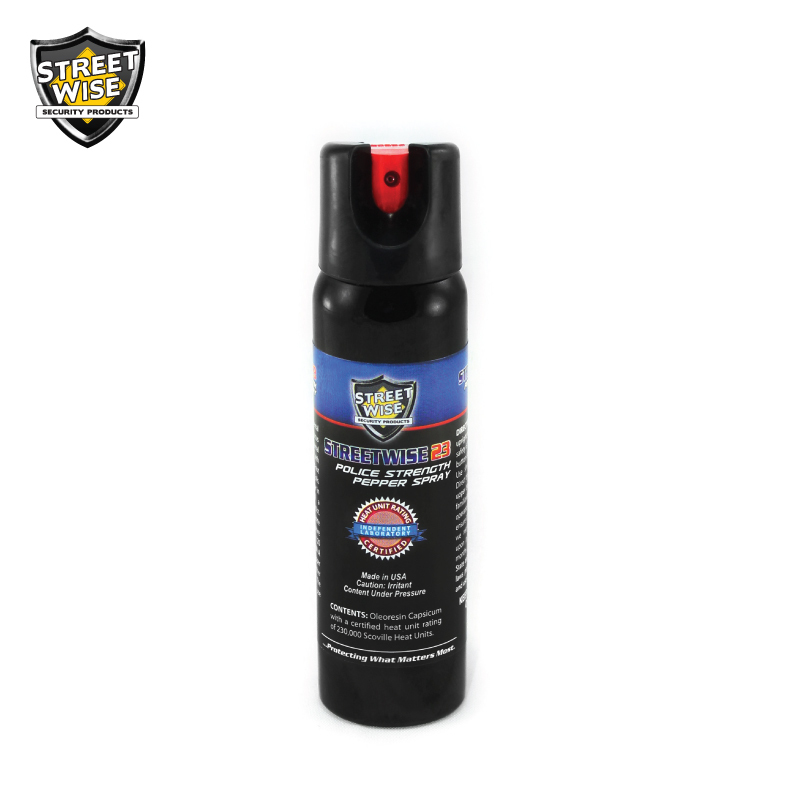 Our pepper spray is so potent that it can be the hottest and most effective self-defense sprays on the market today. 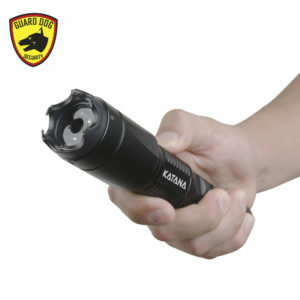 It can incapacitate an aggressor for up to 45 minutes but without causing any permanent harm. It is legal self-defense that you can trust in protecting yourself and loved ones. Our slogan “Protecting What Matters Most” is more than our motto as it is also our commitment. 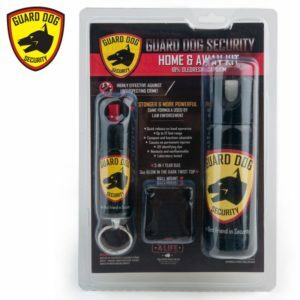 Our business is committed to providing you with high-quality self-defense pepper spray that you can rely on to defend what matters most to you.